You might not think of your tires as a safety feature, but they play a critical role in protecting both the vehicle and driver. The tires’ main functions include supporting the vehicle and its load, transmitting traction and braking forces to the surface of the road, changing and maintaining the direction of travel, and absorbing road shocks. You can ensure that your tires are up to par by inspecting them on a regular basis, checking the air pressure and tread depth, and looking for any signs of damage or deterioration. A tire is made up of different essential parts. Knowing the different elements of your tires will help you understand the importance of maintaining your tires in order to extend their lifespan. Tire tread – This is the part of the tire that makes a direct connection with the road. Making sure that your tread depth is within the level recommended by the manufacturer will ensure your road safety. When your tire tread reaches the final 2/32nd of an inch, you need to buy a new tire. Tire belts – These are layers of steel, rayon, fiberglass, and other materials located between the plies and tread. The belts are rubber-coated and crisscross at angles to hold the plies in place. They provide resistance to punctures and keep treads flat, so they can grip the road. 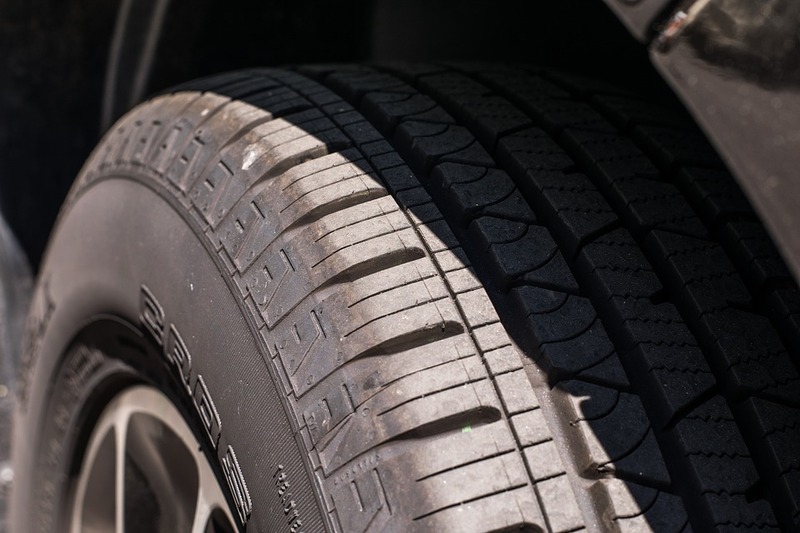 Tire sipes – Tire sipes are a unique kind of tread within the tread which work to improve traction when you’re driving on wet, snowy, dirty, or sandy road surfaces. Tire grooves – The tire grooves are the spaces that run parallel around the tires between two tread ribs. The grooves allow water to escape. Tire sidewall – The tire sidewalls protect the cord plies. They also contain the markings and information about the tire such as the type and the size. Tire shoulder – This part is the outer edge of the tire tread that transitions into the sidewall. Tire inner liner – In a tubeless tire, the inner liner prevents the air from making its way into the tire. Tire body plies – The tire body plies constitute the entirety of the tire. Tires are composed of several layers of plies, which are rubber coated materials that run perpendicular to the tread. Their job is to keep the tire strong and to resist damage that comes from common road obstacles. Tire bead – The tire bead is a steel cable that is coated in rubber. Its job is to keep the tire nice and snug on the rim. Now that you know a little bit more about the anatomy of tires, you can be more in tune with their maintenance needs. Don’t cut corners—your safety depends on responsible tire care. Tire Store Utah > Blog > How Well do You Know Your Tires?